Example how BAD COPS can use the system to terrorize and abuse innocent people. How the system is so corrupt up the ladder of the courts who support and act as accessories to these crimes. These are public servants who never protect the public instead use their positions to take advantage of the public and act ABOVE THE LAW. 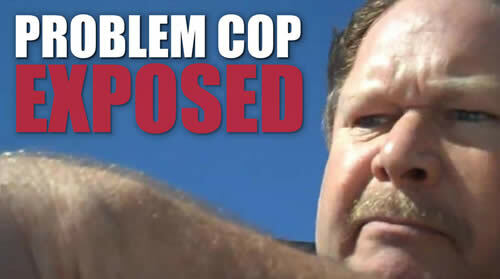 A must watch dash cam video proving how really STUPID people can become police officers. Total ignorance, the lying which was caught on video and in court. The perjury in reports and the fact these officers are creating dangerous situations where someone could have been killed after which our courts would help these criminals escape punishment. Note the officers state in the video they’re not required to obey the law. CJ Grisham was arrested while hiking with his 15-year-old son, who was working on the requirements for a Boy Scout badge. CJ Grisham was carrying an AR-15 rifle and a concealed handgun, for which he had a permit. Texas law allows for rifles to be carried in public. Someone reportedly called police expressing alarm over a man carrying a rifle along a road. Officer Steve Ermis responded and, according to court testimony, was initially concerned because he didn’t know CJ Grisham’s intentions. Rannefeld argued at trial that CJ Grisham was carrying the rifle to protect against aggressive wild hogs. He reportedly said Officer Steve Ermis “went above and beyond to control and intimidate,” when he stopped the two. Court documents say Grisham tried to prevent Ermis from taking his rifle and later resisted as the officer attempted to place CJ Grisham’s hands behind his back. Prosecutor John Gantt Jr. told jurors that CJ Grisham refused to follow Officer Steve Ermis’ orders. CJ Grisham’s son used his cellphone to record the confrontation. The gun question has been settled, in favor of more and more guns. So why, then, with the Second Amendment never more secure, the sudden mania for open carry? Witness Open Carry Texas, where freedom’s just another word for turning your state into an armed encampment. A national gun rights organization pledged $1 million in legal services to U.S. Army Master Sgt. 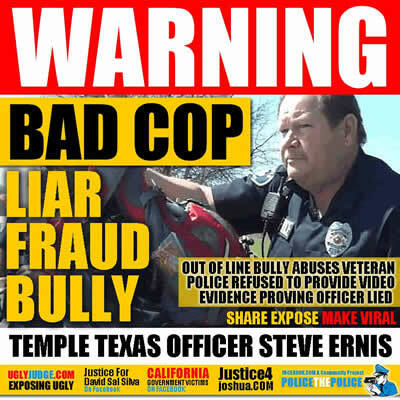 Christopher J. Grisham in defense against what they characterize as a “corrupt” Temple Police Department. Grisham was arrested in March as he walked along a Temple roadway while carrying an AR-15 rifle across his body and possessing a handgun, for which he had a concealed handgun license. He now faces a Class B misdemeanor charge of interference with a peace officer. Blue Rannefeld, a Fort Worth-based attorney with Legal Gun Defense, said the organization plans to send “an army full of attorneys” to help in the defense of Grisham, a member of the organization. Bell County District Attorney Henry Garza took exception to the group’s use of the word “bounty,” saying he was concerned about its violent undertones.